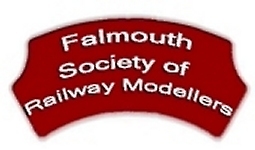 Welcome to the Falmouth Society of Railway Modellers website. We are a model railway society in Falmouth, Cornwall, whose aim is to foster the interest in model railways. Our members interests range from historical to the contemporary scene and cover a variety of scales and gauges. We have a large 00 gauge layout under construction, allowing running of full length mainline trains. We also have some smaller layouts which we can exhibit. New members are always welcome. We are based at 'The Athenaeum Club', near Kimberley Park in the centre of Falmouth. Please contact our secretary for further information about membership or visiting the society.